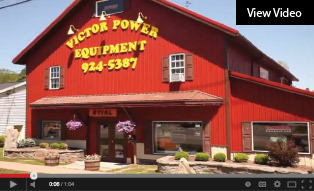 Victor Power Equipment is your hometown store in Victor, NY, for outdoor power equipment for lawn care and snow removal. We are a large full line dealer of mowers, trimmers, generators, garden tractors, snowblowers, chainsaws, yard tools and accessories. Plus, you benefit from the service and knowledge of a family-owned, local business. Our certified technicians work on all makes and models. All service is done in store. Pickup and delivery is available. Fuel your savings. Ask us about our available financing options*. Stop by the store to learn more and apply. We stock several brands and even more parts available for special order no matter what part you may need!